Home / Tech news / AT&T with some Big tech companies will join the mass online protest Wednesday to support net neutrality. AT&T says it supports net neutrality and to prove it, it plans to join the massive online protest Wednesday to show support for rules under fire by the Trump administration. The nation's second-largest phone company, which unsuccessfully sued the Federal Communications Commission in federal court to dismantle the 2015 rules, is joining 70,000 online companies, advocacy groups and individuals in a protest organized to tell the current Republican-led agency to leave the rules alone. Big tech companies joining the protest include Amazon, Facebook, Twitter and Mozilla. The "Day of Action" protest comes after Republican FCC Chairman Ajit Pai introduced a proposal earlier this year that would dismantle the rules. Online companies large and small have banded together to drum up grassroots support for the regulations. The rules, which were passed in 2015 by a Democrat-controlled FCC, are meant to prevent broadband companies from favoring their own content over competitors' services. The regulation explicitly prevents these companies from blocking or slowing down competitors' traffic or charging fees to deliver service faster. 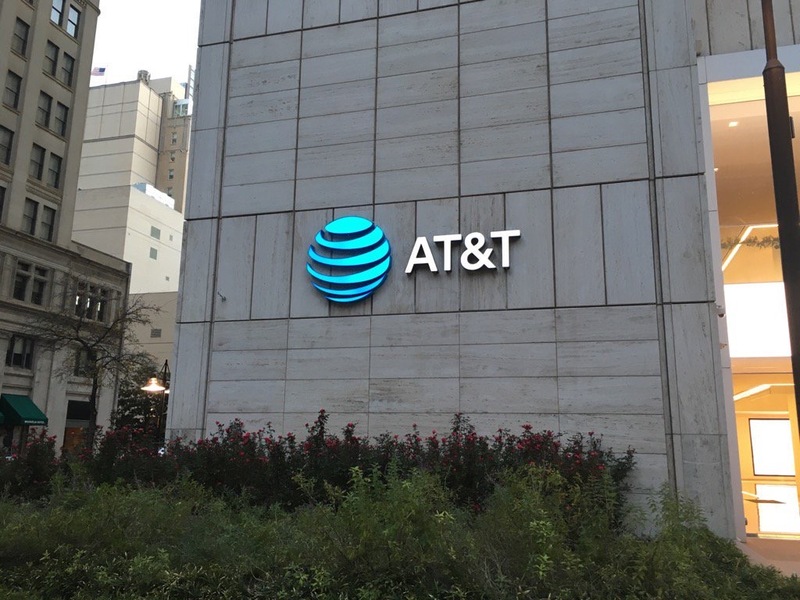 In a blog post Tuesday, Bob Quinn, AT&T senior executive vice president, admitted it may seem like an "anomaly to many people" that AT&T would be involved in such a protest. But, he explained, that's the point, because like the other companies and groups participating in the online protest, AT&T agrees that the internet should remain open and free and that no company should be allowed to block content or slow down access of content in a "discriminatory manner." "We are joining this effort because it's consistent with AT&T's proud history of championing our customers' right to an open internet and access to the internet content, applications and devices of their choosing," he said. But he said he doesn't support the previous FCC's legal foundation for the regulation, which is based on "80-year-old law designed to set rates in the rotary-dial-telephone era." He then called on Congress to settle the debate once and for all "to provide the clear statutory authority that guarantees an open internet for all consumers." "AT&T plans to continue misleading people, saying they support net neutrality while they work to kill it at the FCC, in court and in Congress too," Wood said in an email. "That's probably a better way to describe it accurately than 'plans to join protest,' since any 'protest' is against Pai's unpopular plan to rip these rules away." Matt Wood, policy director for the advocacy group Free Press, said that AT&T's participation is disingenuous. "If they want to support the Title II protections that we have now, which prevent them from shaking down websites for extra fees as part of 'paid prioritization' schemes, we'd be glad to have them as part of this protest," she said. "Until then, they're just making noise to continue their campaign of misinformation." Evan Greer of Fight for the Future, a nonprofit that helped organize the protest, said supporters would be glad to have AT&T join them in their fight, if the company is truly sincere.